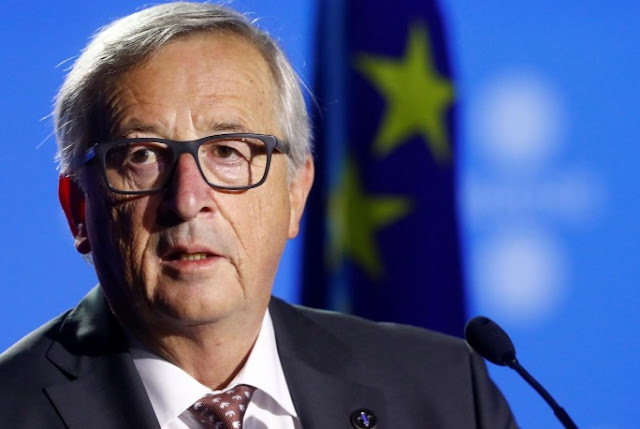 BRUSSELS - German Chancellor Angela Merkel and the European Commission President Jean-Claude Juncker have discussed the Catalan crisis in a phone call, an EU official told Reuters on Saturday, in a sign of growing unease over potential disruption across Europe. Concern is growing in EU capitals about the negative impact of the crisis on the Spanish economy, the fourth largest in the euro zone, and on possible spillovers to other economies of the bloc. The support given in public statements by EU leaders to Spain’s Prime Minister Mariano Rajoy is combined with concern expressed in private about how the Spanish government’s use of police to prevent Catalans from voting last week in an independence referendum could backfire. The Spanish government apologized for the first time on Friday for the police use of violence..
German Chancellor Angela Merkel and the European Commission President Jean-Claude Juncker have discussed the Catalan crisis in a phone call, an EU official told Reuters on Saturday, in a sign of growing unease over potential disruption across Europe.